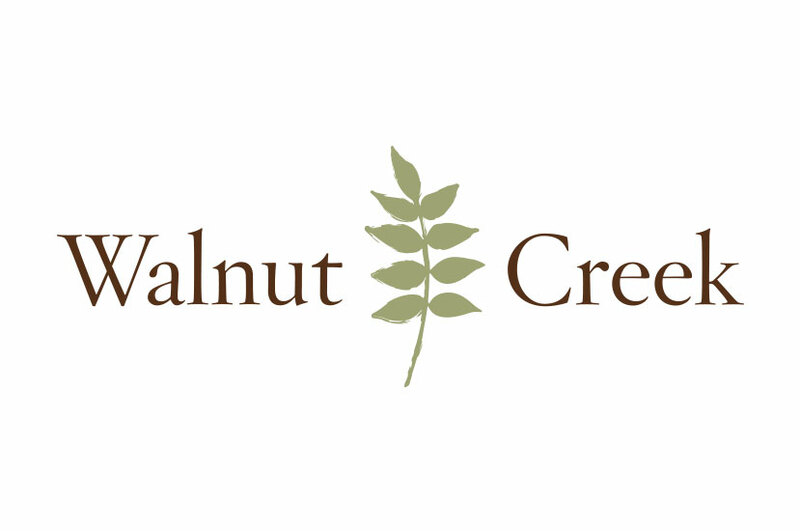 The logo for Walnut Creek was designed to represent the peaceful, down-to-earth community, set apart from the noise and bustle of busy cities. We wanted the Walnut Creek logo to be a continuation of the relaxation one can find at this outdoor setting. The hand-drawn branch and leaves represent the tranquility of this natural setting. We used muted browns and greens to convey a more organic and natural feeling. The brushstroke effect of the branch and leaves contrasts perfectly with the serif font, emulating balance and stability. This logo design is the perfect embodiment of the Walnut Creek brand.